We recently moved into our first house!! We couldn't be happier or busier. 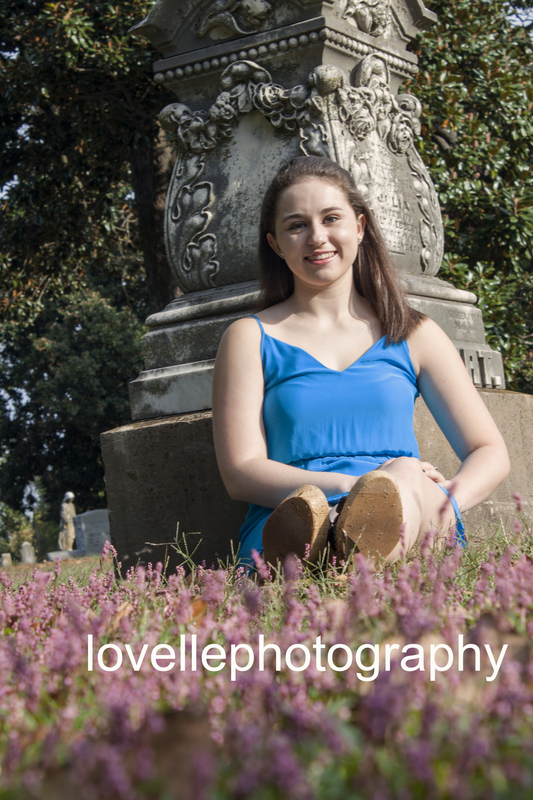 I did have time in between school, unpacking, and fall break to get some pictures taken. 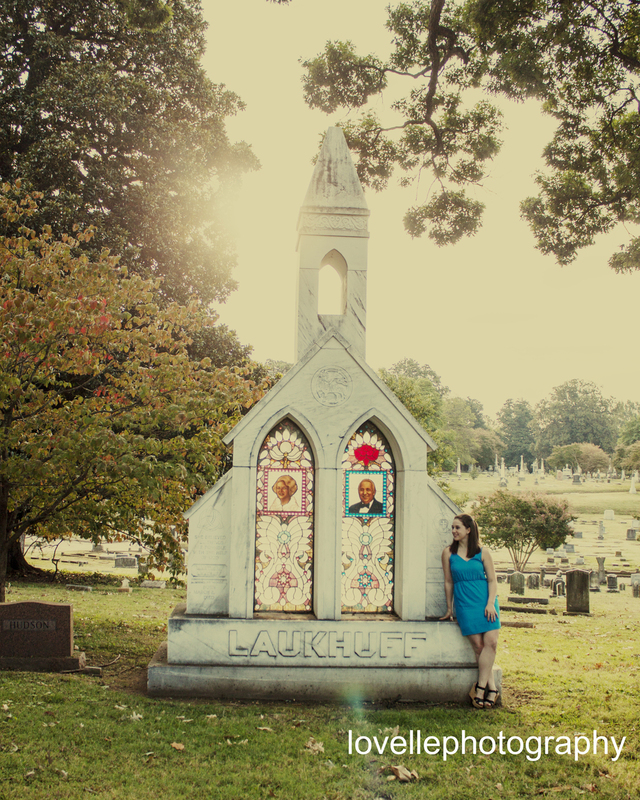 I had a shoot at the beautiful and historic Elmwood cemetery (http://www.elmwoodcemetery.org/). Here are a couple of the pics I took while there. This first one I found super intriguing. The man named is not actually buried there. 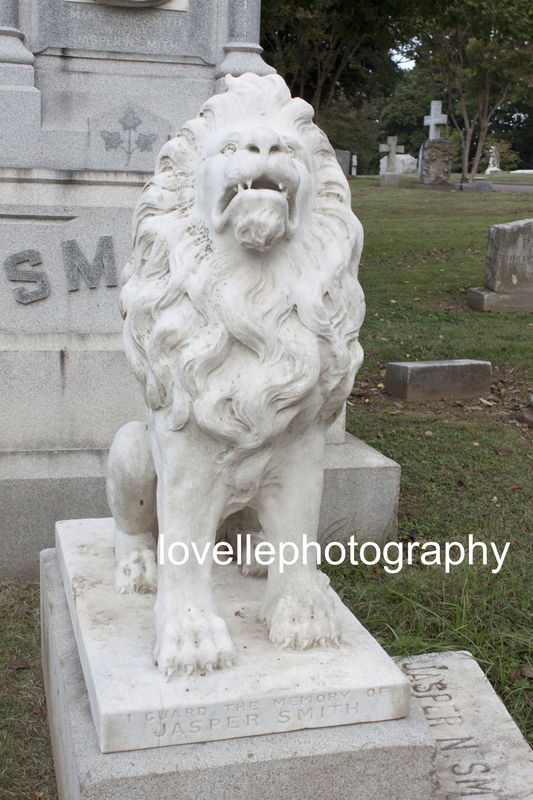 I don't remember the whole story, but here is a lion protecting his resting place, but he is not resting there! This was a carving on a child's grave. It was so beautiful carved and moving, I had to have a photo! This Head stone if you will was a stain glass factory owners. If you look closely you will see that the lady of the house did not put the year she was born as she did not want people to know how old she was when she died! This piece not only has an interesting story but makes up the most beautiful accent piece to Miss Maggie and her blue dress. This photo is a favorite of mine because of the angle, the beautiful color of the flowers and the pure fact that Miss Maggie was willing to sit in the wet grass. :) Thank you Maggie! This ghostly photo was inspired by the location. I did a few things in editing along with adding a background and turning Miss Maggie into a poltergeist via multiply and using a mask.